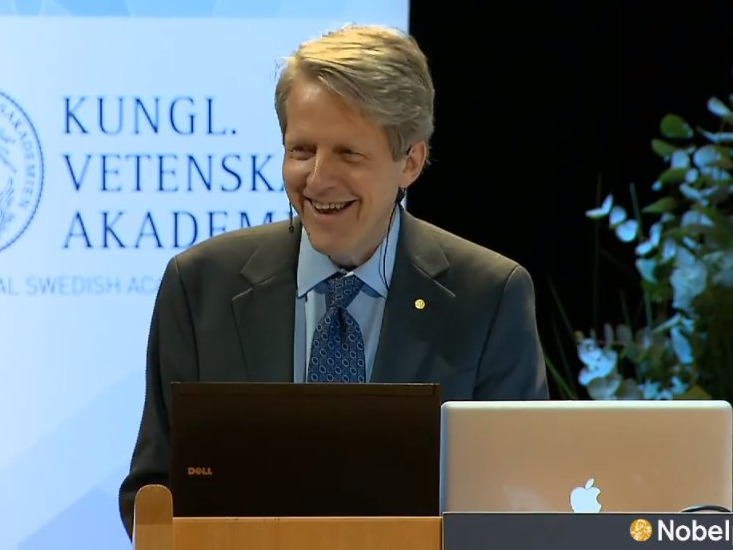 Yale professor and Nobel laureate Robert Shiller is still in the stock market. In an appearance on CNBC following the release of the latest S&P/Case-Shiller home price index, Shiller discussed not only the latest housing report, but his views on the stock market. On the housing market, the Case-Shiller report showed that month-on-month, home prices rose in September for the first time since April, with year-over-year prices rising 4.9%. Shiller said that housing, “isn’t an exciting investment” as home prices are rising, but not at the rate previously seen, though in this environment with rates low and returns hard to come by, housing looks more attractive. Shiller noted that the futures market is expecting a 10% increase in home prices over the next two years, and an increase of 5%/year looks reasonable to Shiller. And while expectations for home price increases are well below the 12% they were ahead of the housing crisis, Shiller said that expectations are starting to come up a little.